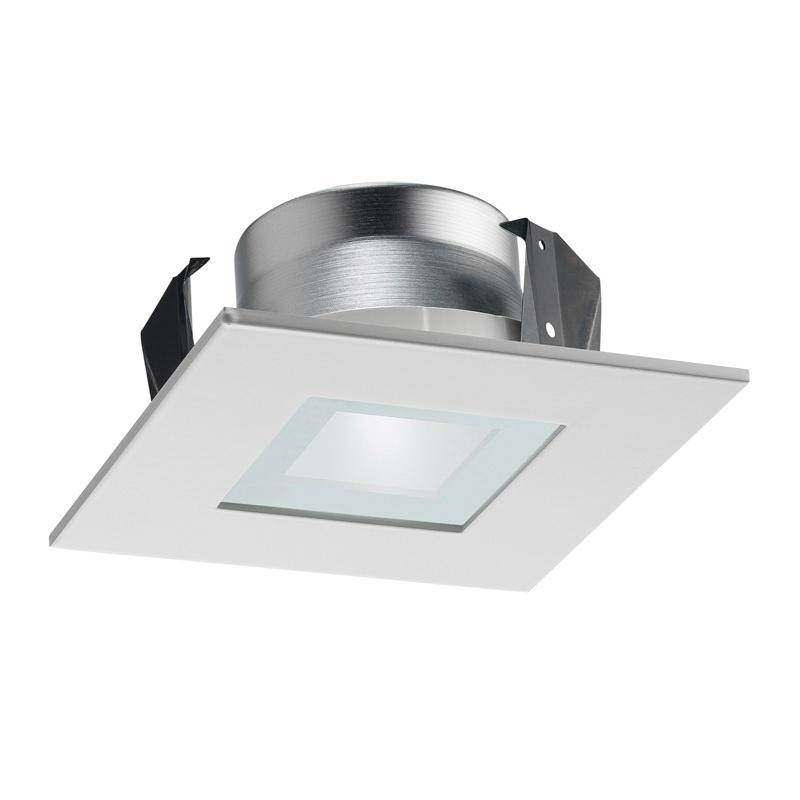 Juno Lighting 12SQ Series 4-Inch Line-voltage square lensed trim in white color, features perimeter frosted lens. It accommodates 50-Watt PAR20, 30/50-Watt R20 or 39-Watt PAR20 lamp. Trim has outer diameter of 5-inches and is ideal for wet locations. Lensed trim is UL listed.